If you or someone you care about needs help, ASK & UASK can help you find it. Put your safety first. 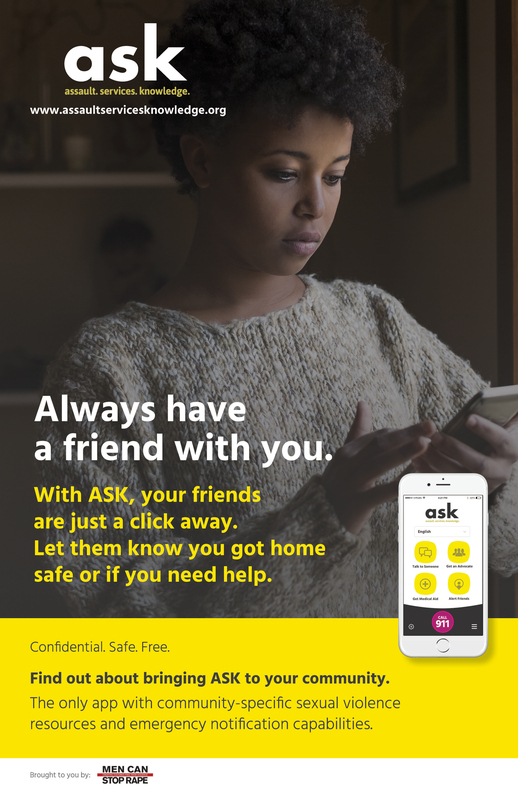 Download the ASK or UASK app for real-time personal security. This invaluable tool includes a panic button that immediately calls local emergency personnel, the ability to alert friends and share your GPS location with selected contacts, and local resources in the event you have experienced sexual violence. 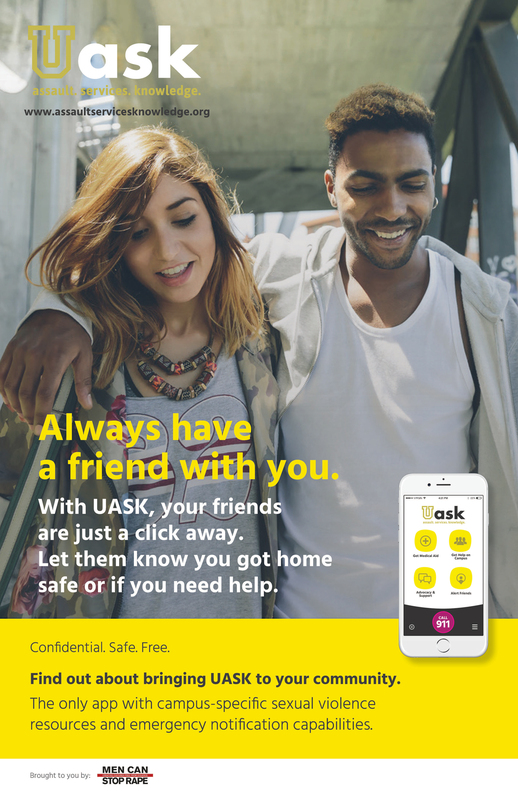 ASK and UASK apps are free and available on the iTunes App Store and Google Play Store.